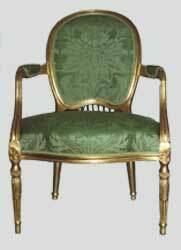 A set of ten Sheraton library chairs in beech circa 1790. 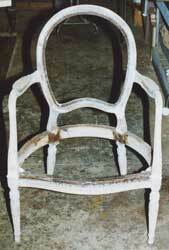 Having been originally stained, they were delivered to the workshop stripped and restored ready for gilding. Gessoed and water gilded in 23.5ct. gold.